BEST VALENTINE'S DAY EVER - 60ML BANANA SPLIT E-LIQUID! Spreading the love on Valentine's Day, thank you www.fastvape.gr - remember to use the increase chances feature to get more chances to win! 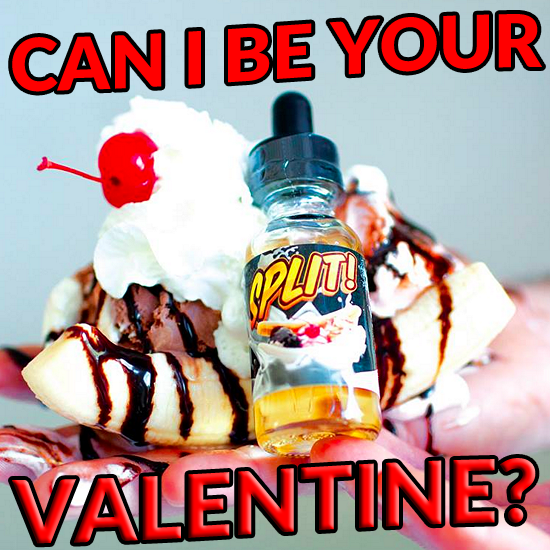 The winner of the lottery #832 for BEST VALENTINE'S DAY EVER - 60ML BANANA SPLIT E-LIQUID! was Vladimir Jalovi Jalovi from Banja Luka, Bosnia and Herzegovina on Feb 14, 2018. Hello and greetings lucky vapers! The lovely folks at FASTVAPE were generous enough to put up 60ml of Split! e-liquid up for grabs so the least you can do is check them out at www.fastvape.gr. It's only fair and you might find something you like (they send everywhere in the EU). The website is in Greek but you can use the translator at the top-right corner to view it in your preferred language so this is definitely shaping up to be a fantastic Valentine's Day! Not to belabor the point but these guys have really impressed us. FASTVAPE has an incredibly wide product range that encompasses the simplest drip tips to super high-tech kits, batteries and beyond! And to top it off, they are actually really nice people, as well! WANT TO SOME DIRECT? Please click here!